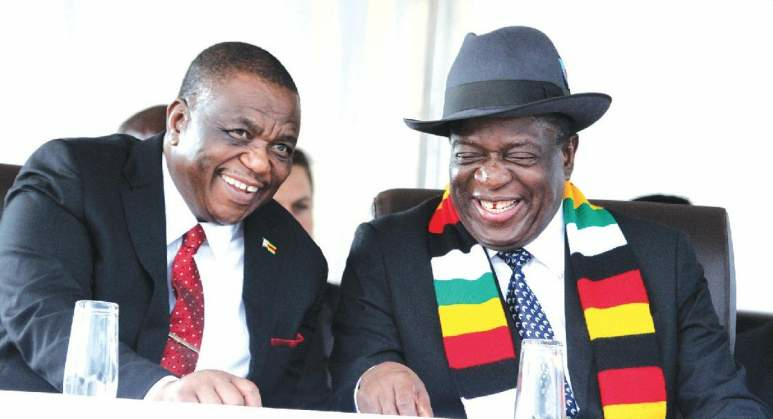 ZIMBABWE is in the hands of a leader with a vision that does not need to be disturbed and President Mnangagwa will have a Constitutional mandate to serve his two full terms, Vice President Constantino Chiwenga said here yesterday. Giving his vote of thanks after the President's keynote address, VP Chiwenga thanked the President for charting a clear course for the party. His sentiments were echoed by national chairwoman Oppah Muchinguri-Kashiri who rapped detractors who claimed there was infighting in the Presidium. "President, I rise on behalf of the entire collection of delegates to the 17th Annual National People's Conference, to register and express this conference's profound gratitude and heartfeltness for the directional address you have just given. "The direction of our party is now clear than ever before. The orders from yourself as our Commander-in-Chief are as clear as daylight. "The pace we must pursue in fulfilling your orders is well said. Equally the goals are clear and beckoning. It is now business, business, business. It is now economics, economics, economics. "We must recover the economy, we must grow the economy. We must create jobs especially for our youth. You set vision 2030, by which our country should attain Middle Income status. The Transitional Stabilisation Programme is now underway to take us thus towards that goal.
" . . . on behalf of all the delegates who have come from all the corners of our country, I want to thank you, Shumba Murambwi. I can say to you, from now until 2023, when the next elections fall due that you are our one and only presidential candidate. "Our national Constitution allows you the full two terms, so you shall have so that the party, Zanu-PF, continues to draw from your wise leadership," VP Chiwenga said. The founding ideals, values and goals of the country's liberation struggle, VP Chiwenga said, should not be tampered with. "As our leader, you have reset the campus, stood up to point the direction of the national party," said the Vice President. "Henceforth, all feet must march and thud in unison. All eyes set on the goals yonder. None must march out of step. None must look away from the set goal. "We in leadership must exhibit and be found very high in impeccable moral standards." "You underscored the need for unity and discipline in the party. And discipline means strict adherence to the party line, respecting and advancing the corrective path of the party." Muchinguri-Kashiri, who spoke after the VP's vote of thanks, rapped deytractors who were spreading stories of alleged infighting in the Presidium saying they should stop trying to divide the leadership which was focused on addressing the prevailing economic challenges. "Manzinzwa moga kuti hapana vacancy. Mazvinzwira moga kuti hapana zve infighting. Vari kuzvitaura hameno kuti muri kuzviwana kupi," she said the deafening cheers and chants of "2023 ED-PFeee" from the over 6 000 delegates. "Vanhu vanoda kudivider vatungamiri batai miromo yenyu, musakanganise vatungamiri vari kuda kugadzirisa nyika … ishoko guru ratinofanira kuenda naro kumisha kuti zviya zvenhema, zvekunyepa kuti kune kurwisana kuriko, kunyepa," Muchinguri said to thunderous applause. There has been a sustained campaign in certain sections of the media alleging infighting in the presidium with some claiming Vice President Chiwenga's absence at state functions when he was recuperating was "evidence" of alleged discord in the Presidium.